Welcome to Kirsty from Damson Lane who has a lovely Valentine’s Day Decoration to share! I can’t believe that this is the END of 31 Days of Love series! This month has been simply amazing. With so many wonderful and different Valentine’s Day posts! 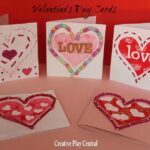 We have had gorgeous Valentine’s Day Cards, Valentine’s Gifts and Valentine’s Day Treats. 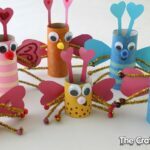 So many ideas to keep you all very busy! 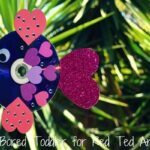 I’m so excited to share my Valentine’s craft with you lovely Red Ted Art readers! I’m Kirsty from The Shape of My Heart by Mark Sperring and Alys Paterson, a lovely book to share with children around Valentine’s Day. 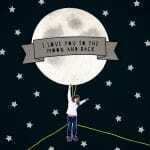 The book is about the shapes all around us, the shapes we are made from and the shape of the heart that we love with. 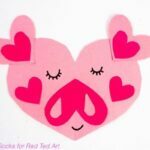 We decided to explore the heart shape and the shape of ourselves by doing this cute Printed Heart Silhouette craft. 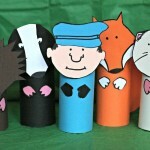 Start by making your stamps. 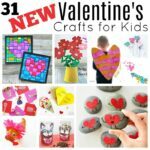 Take the cardboard and cut out heart shapes (I used 3 hearts for each stamp I made). 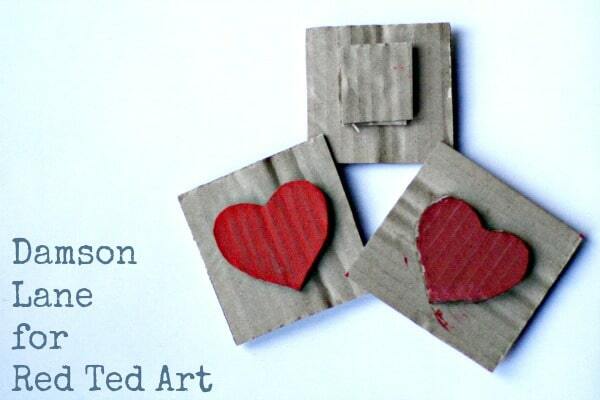 Then cut out a square of cardboard and stick the three hearts onto the square, one on top of the other using PVA glue. On the other side of the cardboard square stick a smaller square (this will be your handle to grip the stamp when printing). Leave the glue to dry (overnight if possible). I made three stamps as we used three different coloured paints to print with. 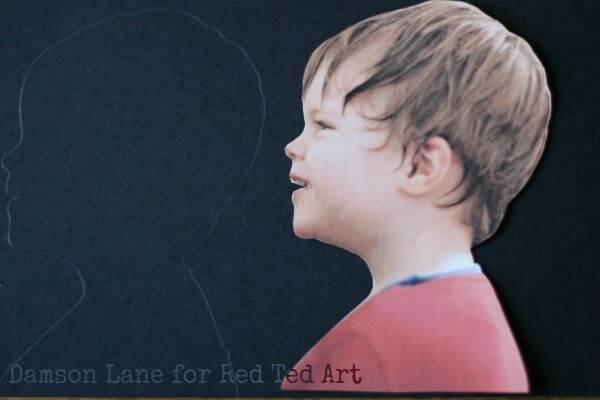 Whilst your glue is drying take a profile photograph of the subject of your silhouette and print the photo out. Make sure that the profile fits the frame you are going to use. Cut around the profile of your subject and then lay it on the black card. Draw around the profile and then carefully cut your shape out of the black card to make your silhouette. 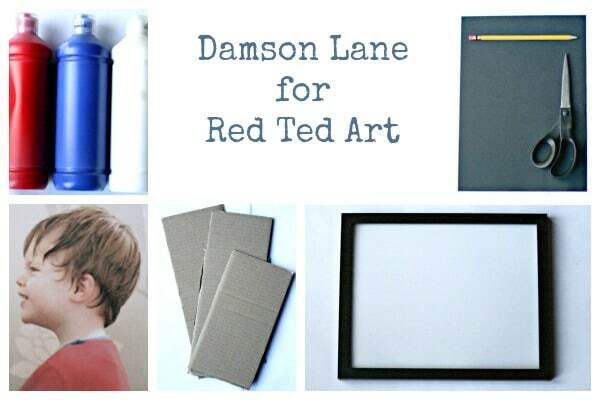 Take your white paper or card and cut it to fit your picture frame. Then, use masking tape or washi tape to stick the white paper to your work surface. 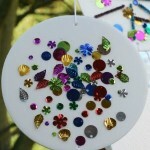 If you are using different coloured paint to print with, mix your colours. I used a bright red, pink and dark red. 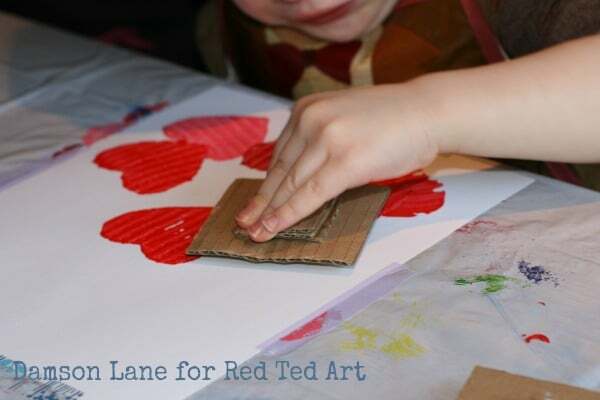 Then, we got printing with our homemade heart stamps! 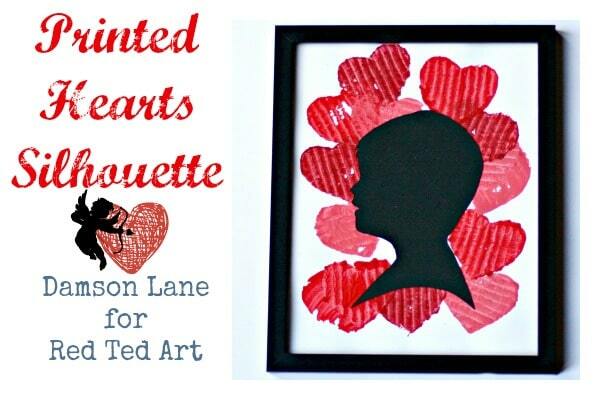 When the paint is dry take your black card silhouette and glue it into place over your printed heart background. When we did this with PVA glue the finish wasn’t as clean as with a glue stick or spray adhesive, so if you want a ‘clean’ finish go for the spray adhesive instead. 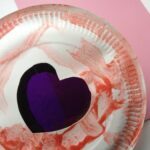 Once the glue is dry you can date and sign your Printed Heart Silhouette and put it into your frame, ready to give to someone special as a gift for Valentine’s Day or any occasion. We were so happy with our Printed Heart Silhouette that we couldn’t wait to show it off so it has already gone up on the wall! 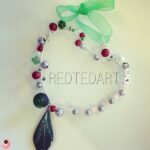 It looks so lovely that I can see us doing this craft again for gifts at Christmas (shhhh don’t tell the grandparents)! 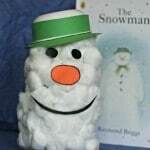 Pizza Base Snowflakes, Loo Roll Woodland Animals or our Milk Carton Snowman.